Touring the great USA in our TT experiencing one adventure at a time! Retired in 2017 when our journeys all began! We spend most of our time outdoors vs sitting inside our RV. Enjoy music, cooking, fishing, hiking with our dog and meeting other campers. We stayed during the week. Quiet, beautiful and well maintained park. Park staff were readily available during the day and very helpful during checking. We didn't see staff after dark. We didn't see much wildlife other than birds and squirrels. 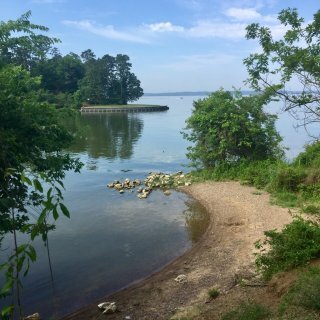 The lake is the second largest in Texas! Several campers fishing. Great trails for walking and biking. Sad to see many sites reserved but not used. 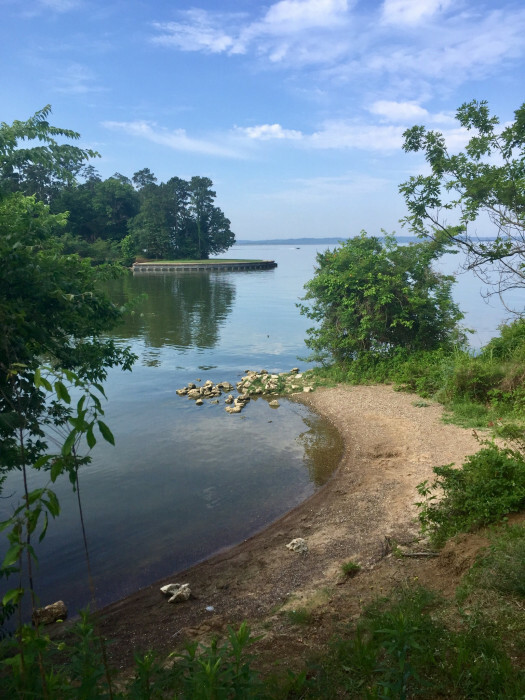 The Piney Shores Loop had beautiful waterfront views on sites 53 thru 71. We enjoyed our stay! We camped at Lake Livingston State Park in a Travel Trailer. 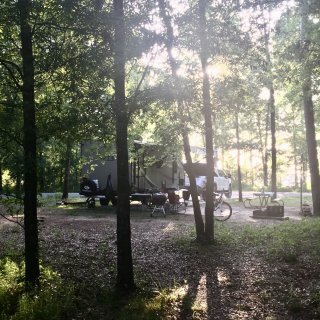 Nice campground with lots of repeat campers. We were approaching July 4th holiday and the campground was FULL. Lots of planned activities around the sights and friendly campers. Pretty water views and walkways. Easy access to Campground and inside the campground. We were given a discount just for asking but no refunds since it was a holiday weekend. Nice place but tightly packed in! We did enjoy our stay. We camped at Young's Lakeshore RV Park in a Travel Trailer. This is a beautiful campground! The grounds are very nice and kept planted, mowed and clean. Pretty pond with deck over the water. Repair garage if needed and RV wash. Small store. Friendly staff although they were slow to reply to reservation request. Lots of Civil Was history in this area of the country. We enjoyed our stay! We camped at Parkers Crossroads RV Park and Campground in a Travel Trailer. This is a small gravel lot that backs to the mountains. No true marked sites except for the electric box and picnic table. We backed to the box. Most campers stay for the ATV trails just beyond the lot. Maps of the trails are placed at the restrooms that includes a building adequate for group gatherings. The office is quiet with one person on staff. You just let them know when you plan to arrive. Location is about 10 minutes outside of the town of Harlan, KY. Few to no amenities; you make your own experience here but they provide what they advertise and keep the facilities clean. Most campers are out on the trails during the day and only return at night to sleep. 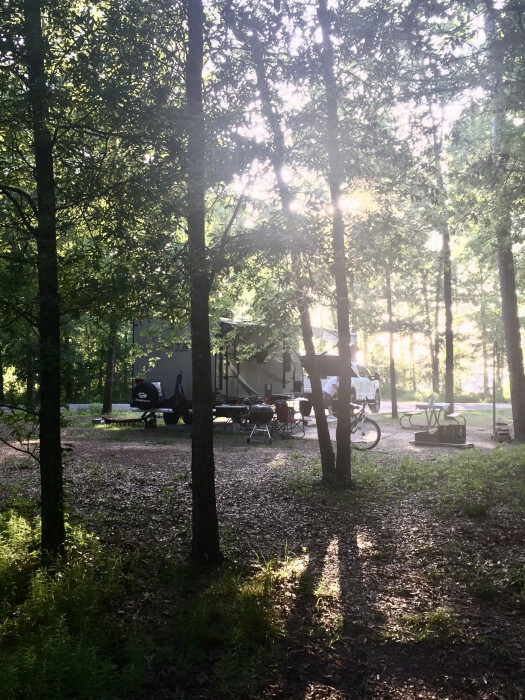 We camped at Harlan County Campground & RV in a Travel Trailer. Very nice KOA with easy loop drive for pull through sites. Friendly staff escorts you to your site and offers Pizza Kitchen delivery to your site with pizza, wings, pretzels etc.. Grounds were well maintained and pool was kept sparkling clean. Friendly and happy campers. We enjoyed our stay! We camped at Wapakoneta KOA in a Travel Trailer. We stayed in a Kabin for this leg of the trip. This KOA is pricey and we paid their pet fee of $10 in this rate. The campground was BEAUTIFUL and there are lots of venues to visit in Bowling Green. (Home of the Corvette museum is one, as a previous owner of two vettes, this was interesting.)! The kabin was very nice, clean and spacious with paved patio and iron table with chairs overlooking two pretty ponds with plenty of geese and fishing (catch and release). We enjoyed our stay. We camped at Bowling Green KOA in a Travel Trailer. We camped in a pet friendly Kabin on this leg of the trip. Expectations were met, pretty grounds and quiet. The grounds were very good but some trash was laying on the grounds. The TV was not functioning correctly and the park staff did their best to repair it in reasonable timing. Overall our stay was very good. We camped at Little Rock North / Jct. I-40 KOA in a Travel Trailer.